All That Matters | Victory - Honor God. Make Disciples. 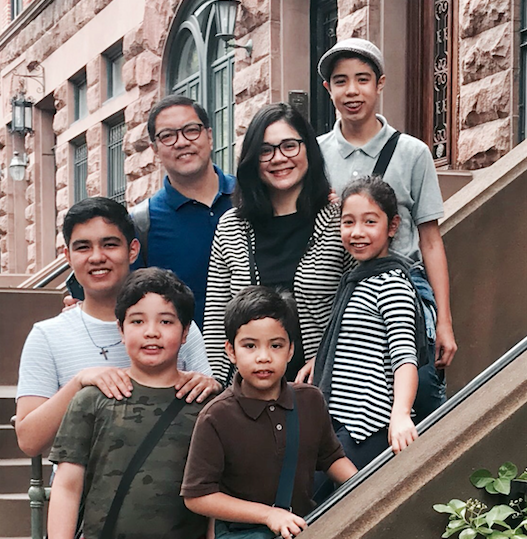 Pastor Lee and Jiji Concepcion share how they honor God in their family and teach their children to walk in the path of generosity. How do you manage your finances at home in a way that honors God? It is always good for a couple to have the same values in terms of finances. With us, it was clear from the start that we will honor God with whatever blessings He will give us. Thus, tithing is very important to us. Though we started our new life together being in debt, we agreed to pay off everything and still put God first by faithfully giving our tithes. Eventually, this mindset helped us manage our finances better and allowed us to pay off our debts. How do you involve each other in your day-to-day financial decisions? We know that we always have to work within our budget. If there are financial decisions that we need to make, we always try to sleep on it first—whether big or small. We avoid making impulsive decisions by praying and allowing some time to give us the clarity we need. In everything, there should also be an element of faith. So out of faith, we do not say “no” to each other, but we set proper priorities and weigh what is important to us as a family. Jiji does not say no to big purchases, but she always checks if they are in line with the values that we want to live by. Doing so keeps us in step with our priorities and budget. How do you instill the value of tithing to your children? We do not want to deprive our kids of the joy of giving, so we introduced tithing to them early on. Even before they understood what tithing was, we—as parents—were already setting aside their tithes for the gifts they had received. It was also intentional, on our part, to make sure that our kids learn the value of generosity: to know that we can give because we have an unlimited God who provides abundantly. As such, when we have opportunities to help others, we allow our kids to take part. Whenever our household help presents needs for her family (tuition, home repairs, medical expenses), our kids are always the first ones to help. Sometimes, on their own, they also proactively give to the church through Real LIFE, our building projects, and missions. Seeing our children live out the lessons we taught them gives us great joy. The amount they give might not make a big dent in the actual need, but the joy they experience from being a channel of God’s generosity is a reward in itself. After all, it is not the amount but the heart of generosity that counts. 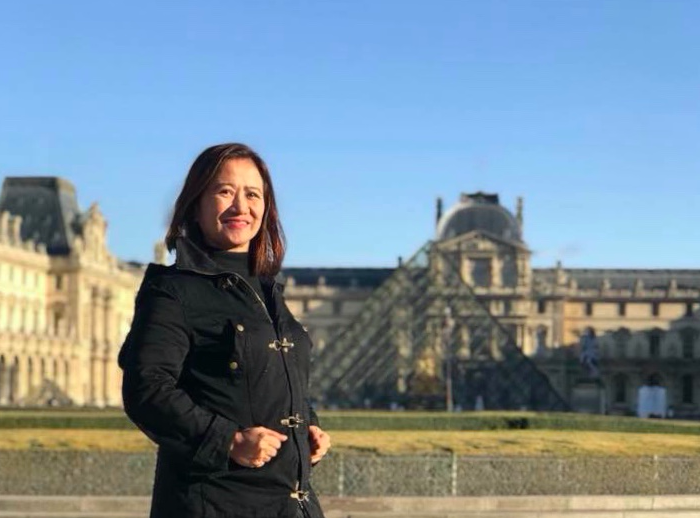 Pastor Lee serves as lead pastor and executive pastor in Victory Pioneer, while Jiji serves as the chief operating officer of Victory and Every Nation Philippines. They have been married for seventeen years and have been blessed with five children—Daniel, Ian, Luke, Sabrina, and Andrew. Beyond the Series is a set of interviews with Victory pastors on topics related to our sermon series. Are you willing to put God first in your life? Will you be willing to sacrifice the things that you want for His glory? Be inspired as Dolly shares how God gave her the courage to trust Him with everything she has. I have been an active member of Victory Cabanatuan for several years now. My family is not rich, but God has blessed us with a small retail business. He has been so faithful to me and my family right from the start. When I became a Christian, I heard inspiring testimonies from people who—without hesitation—gave their hard-earned money to advance God’s kingdom. Those stories stayed with me. Their testimonies spoke to my heart. Though I knew at that time that I had no means to give in that capacity, I promised God that I would do the same one day and believed that He would give me the privilege to honor Him that way. A few months ago, my business did surprisingly well. I was able to save up a hefty seven-digit amount in my bank account. We had been renting for years and my family has always dreamt to have our own house. I thought of using that money to buy a piece of land where we could build our future home, but for some reason, I didn’t feel at peace with this decision. While looking for a lot, I heard about the building project of Victory Cabanatuan. I immediately remembered my long-ago promise to God, so I made a 24-month pledge. However, even after doing that, I felt that He wanted me to do something else. I knew He wanted me to trust Him like never before. As each month passed, I kept failing to fulfill my pledge. And every time I would plan to use the money I earned from our business to buy a new lot, something unexpected would happen. Knowing that God was trying to tell me something, I prayed and asked Him for wisdom and guidance. Prompted by the Holy Spirit, I decided to give the amount I was setting aside for a new lot to our local church’s building project instead. I thought I would feel bad or regret it afterward. But I did not; in fact, I was filled with so much peace. I soon realized that I was at peace with my decision because it was not really my money from the beginning; it was God’s. The message was clear to me: His house first, then my own. Not long after, God provided me the amount that I needed for my lot. I was able to purchase a land twice the size of what I originally planned to buy—at a price that was also a lot cheaper than what was originally quoted to me. God’s ways are indeed higher than ours. Currently, I serve God through our local church’s family ministry. I also partner with our missionaries and hope to be used by God in planting a new church in Santa Rosa, Nueva Ecija. Wherever God will take me, I know that I can find peace in my heart because He is always faithful and His plans are good. All I need to do is put Him first—in all areas of my life. May Dolly’s story give us the courage to put God first in our lives and trust Him with everything that we have. He knows our needs, and He will surely bless us with what we need according to His will and for His glory. Will you trust God to be faithful no matter what? 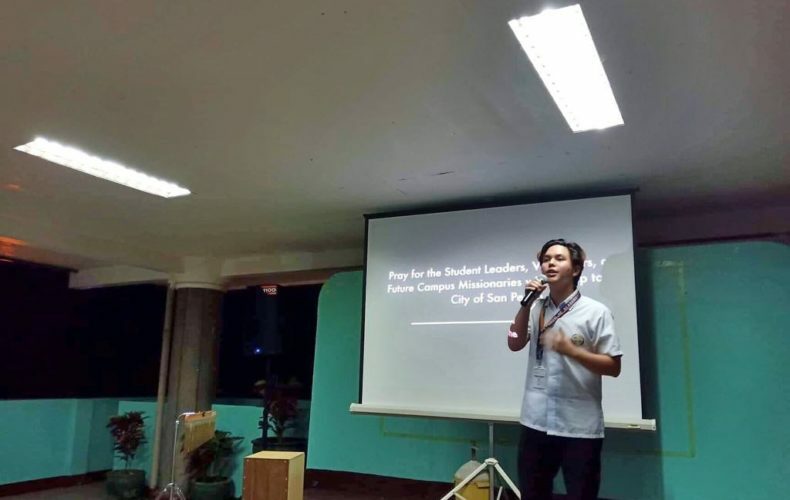 In this article, Adrian—a college student—shares how he obeyed God and experienced His faithfulness in his life. I was in high school when I first heard the gospel. A campus missionary reached out to me and helped me know God more. It was through him that I began to grow more in my faith. As I became serious in my walk with God, I heard teachings about tithing and God’s faithfulness. I knew nothing about tithing before, but as I listened more to His Word, I began to understand that it is an act of faith more than anything else. After receiving Christ in my life, I immediately submitted to His Lordship, even in the area of finances. I know that whatever He blesses me with, I should be a good steward and give Him back a tenth, and even more. Whatever money I receive is—after all—His. It is not mine to begin with. As a student who relies heavily on an allowance, it is admittedly hard to be faithful in giving the tithe. But every week, I make it a point to set aside what is rightfully God’s. Even if it is a challenge at times, God always provides and remains faithful to me. He always assures me that He is in control, and He knows how to meet my needs. When I was in my sophomore year, my father got diagnosed with a chronic kidney disease. He could no longer work to provide for our family and my studies. It was a challenge to be faithful knowing that we were in a trying situation, but when I continued to obey God despite what we were going through, He also continued to provide. Just when I thought that I could no longer finish school, a British couple offered to sponsor my tuition. It was something unexpected; I never thought that something like that would happen. It was amazing how God made a way for me to still go to school in spite of our family’s predicament. Since then, God has proven to me that He will always remain faithful no matter what. Aside from the couple He is using to help me with my studies, He has also blessed me with a part-time job in an insurance company. Through it, I am able to bless my family as well. As someone who was reached in the campus, I believe that God can use me to be a blessing to other students, too. I am currently a volunteer in Every Nation Campus in San Pedro, discipling and passing on the teachings I learned from my mentors and leaders about God’s love and faithfulness. I will finish school early next year, but my heart to honor God will continue even after I graduate. Tithing allows us to grow in our faith and teaches us to trust God more even in the area of our finances. It strengthens our faith and enables us to give our worries to the Lord, believing that He is faithful. Let us continue to honor God and give Him what He deserves—our trust, our devotion, and everything we have. What are the things that you are willing to let go of to find what really matters? In this article, Angelie shares how she obeyed God and found real treasure in His all-satisfying love and grace. My boyfriend and I had been living in for over seven years. I was only 16 when I decided to move in with him. After a year of living together, I gave birth to our son, Vince. My family became very valuable to me. 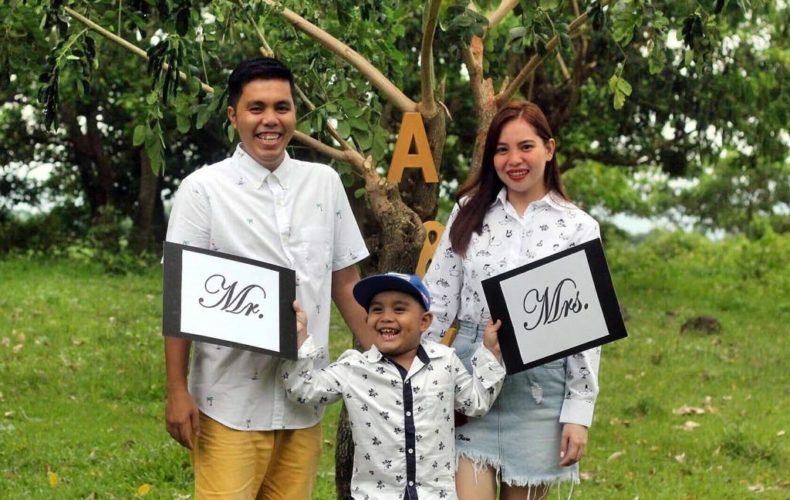 Since we were already living under one roof, the idea of getting married never became a priority for us—for me. There was so much love between us, and we were so secure about our feelings for each other that we felt there was no need to validate those feelings by getting married. But after I had an encounter with Christ, my mindset about the whole thing gradually changed. I have been attending a worship service for a while, but it was only in July this year that a friend from Victory Santa Cruz preached the gospel to me and helped me know God more. After accepting Christ in my life, I immediately got convicted of my sin and realized how much I was hurting Him. I realized that I was breaking His heart all these years because of my relationship. I also finally understood how precious marriage is. It dawned on me that it is not really about me or my partner. It is not about our love for each other either. It is about Him ultimately. Wanting to honor God in my relationship, I began to sincerely pray to Him. I wanted to set things right—not in the eyes of men—but in the eyes of my Lord. Right after my Victory Weekend, I asked God to move in my life and in the life of the person I love. Just a month after that, my boyfriend and I got married; we had a civil wedding. I never thought it was possible. I never thought I would be that happy. Celebrating our renewed union with our son was one of the happiest moments of my life. I thought God was done working in my life and in my relationship. But I was wrong. After our wedding, my husband also began his journey with Christ. One day—out of nowhere—he asked me to go to church with him. My heart swelled with so much joy knowing how he resisted the idea of going to church in the past. I knew it was God working in his life. He is currently going through ONE 2 ONE and eagerly desiring to know God more. I always thought I found a rare treasure when I met my husband and gave birth to our son. I was wrong. My real treasure is Christ. Nothing on earth compares to the all-satisfying love of my Savior—not my possessions, not even my family. Now, we are both part of our church in Victory Santa Cruz. I am an usher and a Kids Church teacher, and I am also studying again to finish college. It is amazing how things fell into place after I surrendered my life to God. He is my rare treasure. Indeed, there is more to this life than the things we have or the people we love. God is our ultimate treasure. As we seek Him first, we will see His hand at work in our lives. 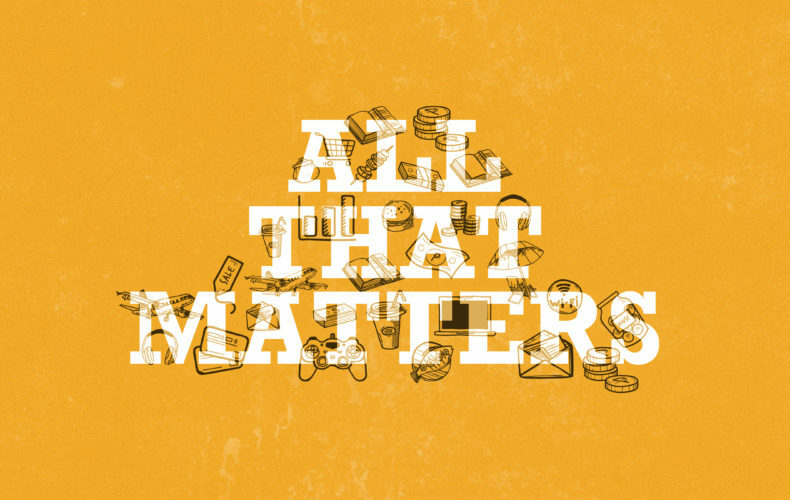 In this series, we will see that what matters to people—money, possessions, and the things of this world—is not all that matters. We will look at four of the times in Scripture that Jesus spoke about money and turned our values right side up to show what truly matters. Let us continue to honor God and live a life of faith, stewardship, and generosity. See you at our worship services in Metro Manila, or at any of our churches in more than 90 provinces throughout the Philippines!